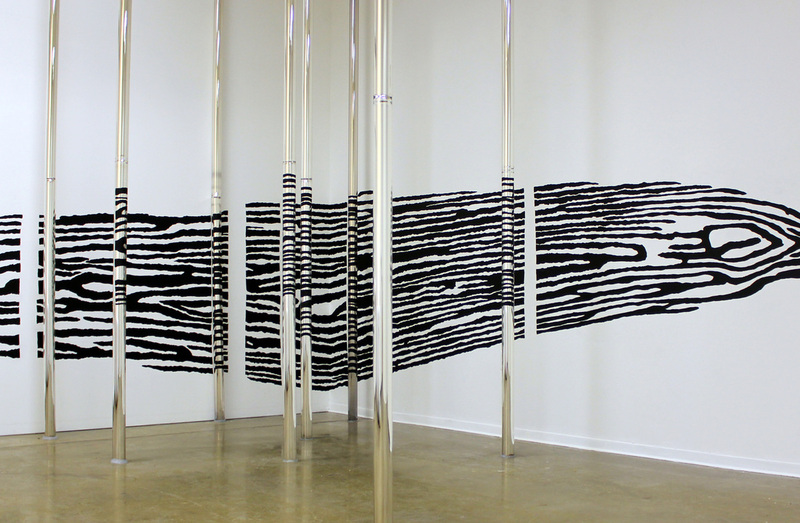 Single Point Perspective (first view, installation shot), mirrored glass and paint, installation, 12’h x 10’w x 12’d, 2013. The walls of the space are covered with patterning. Several mirrored glass tubes (that also contain painted marks) are standing throughout the space, spread out enough for the viewer to walk around and between. The reflection of the painting in the tubes further distorts the pattern. Single Point Perspective (reflected image view). 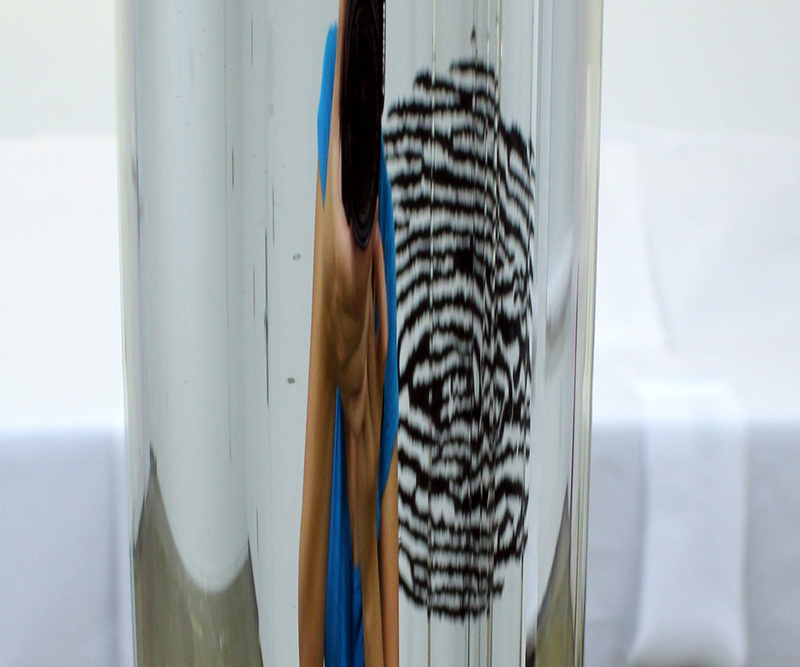 This image was taken from one very specific point in the space, where the reflection of all of the visual information in the space reflects into one of the tubes to create one single image. At no other position in the space will the image register in this way.